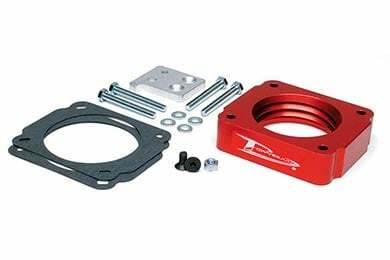 Airaid 510-624 - Airaid PowerAid Throttle Body Spacer - FREE SHIPPING! I own 2010 V6 tacoma.Six years ago I installed a Underdog racing cold air intake, headers, mandrel bent custom y pipe and catback system. 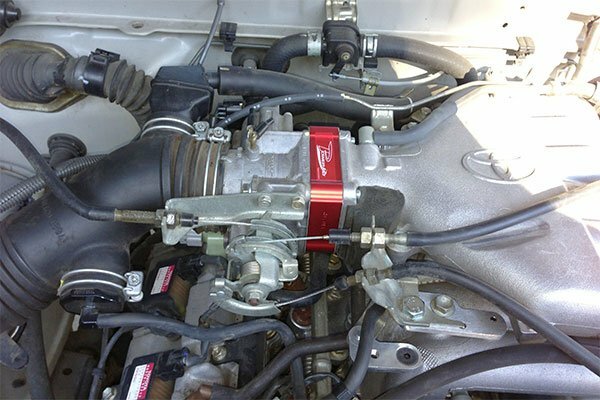 Truck runs great.Last week I installed the airaid throttle body spacer and the tacoma runs even better. No lag in second gear at low rpms, very little peddle needed to drive normal speeds. feels like my little V6 is on steroids.No added sound at any rpm.Easy install, great addition.Wish I had done this sooner. Installed it on my 2003 Tacoma. I definitely recommend this product if you have a delay in acceleration or just don't have that kick when you press on the gass. It has eliminated the delay and I'm very happy. Can't say much about noise difference and can barely hear the whistle with Windows down. 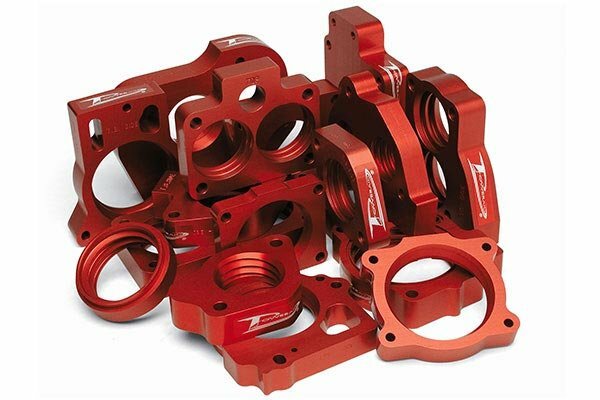 I purchased the Poweraid TB spacer for my 2008 Toyota Tacoma 4.0 V6. The install was easy but lacked good illustrations in the instructions. I was unable to put the engine beauty cover back on due to the bolt holes not lining up very well. 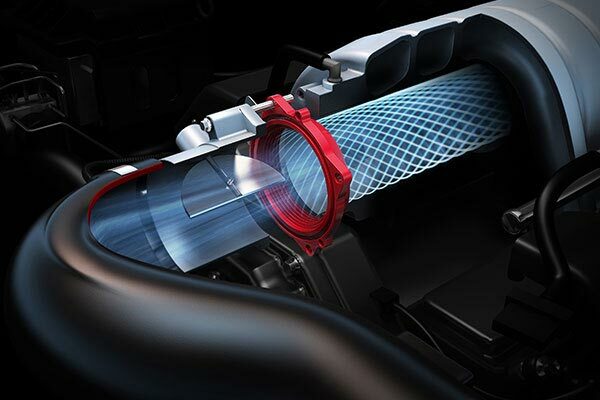 I can hear the whistle at part throttle with my K&N drop in air filter but it's kind of cool. I could barely hear it with the stock filter. I can't tell if it added any MPGs or torque to my truck but I like knowing its there. Looks good under the hood. I was going to be lazy and pay to have it installed in my fj cruiser. I then took the time to read the directions and to see how easy it was to install and it was amazing and only took about an hour and I dont know how to change anything on my fj so this was awesome and saved me money!!!! 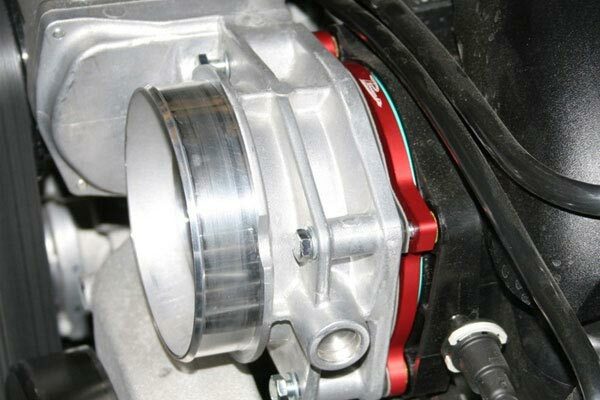 This is the 3rd airaid spacer that I've installed on Toyota Tacomas in the last 4 years. The first 2 went smooth, and the performance improvements were as presented. The third however,had major quality issues with the bolt pattern and fit up. I bought this kit based on the previous two installs, but would rethink buying another. This thing is so easy to install and sounds awesome! This was easy to install and sounds great. 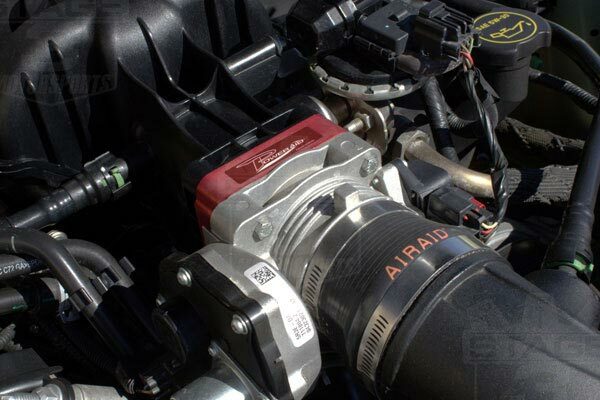 Coupled an Airaid Poweraid TBS to an already installed AEM Brute Force Ram intake on my 2010 Toyota Tacoma. Installation time was under 15 minutes. With a Cat-Back Borla exhaust, this combo made very noticeable increases in accleration,torque, and HP. Not a bad product. Low end throttle response is more crisp and responsive. Whistling noise at 1500 rpm's is kind of cool, but could be annoying to some. while installing the throttle body space i encountere a few diffuculties. It would be nice if the instructions of installation would be a little more clear and easy for the average person to follow. other than that no problem was encountered. Its worth the money, east to install and worth the little extra power at the low end. 1 hour and its on. 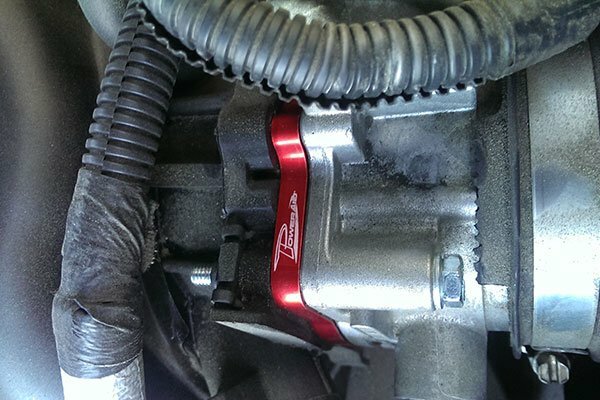 came when it was ordered easy install can really feel the power increase.thank you Todd H.
I think it took me 15 minutes to install the Airiad Throttle body spacer on my 08' Taco.Although it may take longer if your installing with a stock intake. My truck has the AFE cold air intake from AA it was tight but did'nt have to cut anything and all you need for this type of install is a 10mm socket and wrench.There is definately much better throttle response out of the hole and at higher speeds.Gas milage is about the same but in my case my truck hauls around 1000 lbs of tools daily.I have the Airaid throttle body spacer,AFE Intake and Gibson cat back exhaust all from AA this is the perfect trio for extra bolt on H.P. and MPG.No cargo I average 20 mpg with a 6 speed manual not bad for a truck.If it whistles it's working,get used to it. Great upgrade for the price. Improved gas mileage and has that signature "whistle." Great addition that will eventually pay for itself. This was one of the most painless installs I have ever done. Clear instructions, correct parts, installed in less than 30mins. Awesome service, all of my orders have been ontime or early with no mix-ups. Reference # 765-176-485 © 2000-2019 AutoAnything, Inc.